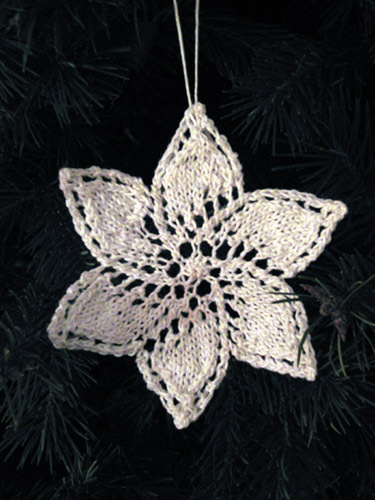 I made the Annie Snowflake ornament from Knitted Snowflakes for my Aunt Theresa. I used some white size 10 thread I borrowed from my mom, and knit it on US 1 needles. I would very much like to get this pattern.